It’s been a loooong while since we’ve hosted a public Art of Escape training. It’s getting on to be a year. We have been inundated with requests to run another public AoE for some time but we’ve been pulled in different directions as Rift Recon is a growing company, and putting on private Art of Escapes for companies. Another direction that we’ve been pulled is my other new venture Dark Sum a Darknet indexing company that was born out of research here at Rift Recon and tested in DARPA MEMEX. So it just hasn’t left much time in the day for us. So why am I writing this post exactly? The title does say “The Next Art of Escape - Coming Soon”. Well I’ll tell you, we are curious to hear from you, our customers, fans, and colleagues when would the next AoE suit you?! So to help us figure this out (or we’ll just pick a random date), go to this link here: Art of Escape - Coming Soon and fill in the Out of Stock window when it pops up. 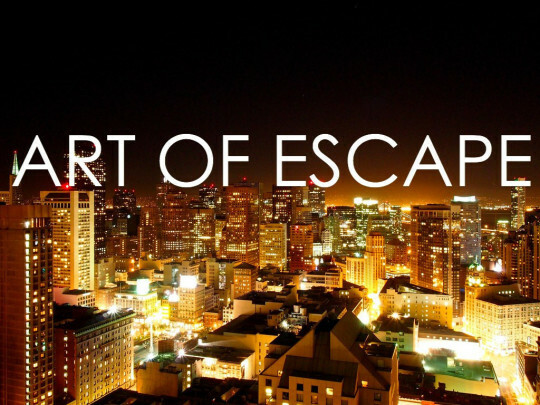 As requests come in we’ll send out a questionnaire to ask when you are available to attend the next Art of Escape in San Francisco. We’re targeting the public class to be Q1 2016. Just remember this: You come in a target, you leave a harder target. P.S. As people have noted many times to us Rift Recon and Art of Escape are slightly different animals so we have purchased Art of Escape . com (www.artofescape.com). It’s not determined yet when we’ll be pushing a separation of branding between Rift Recon/Art of Escape related goods, services, and branding but it will happen in the future.